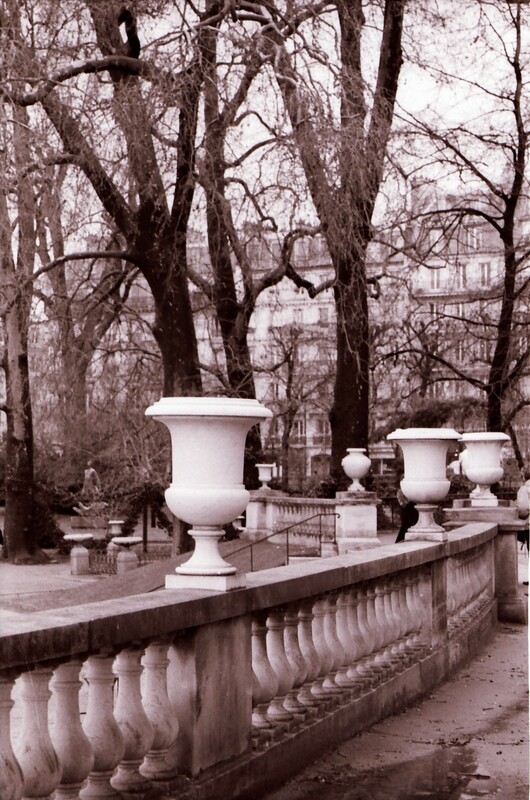 Paris; Love, Beauty, Inspiration, Joie de Vivre, Will never be beaten down. saw Paris, I fell in love. In many consequent trips, I continued that love affair; always a little different, but never less thrilling. I wrote an historical novel: the Nobility of the Robe, about a real woman who was the abbess of Port Royal Abbey in 17th Century Paris that allowed me to return several times. I’d planned to return this spring, for no other reason than to remember myself as a french woman. My mother was french, and I had discovered that heritage was very much alive in me; i walk differently on the streets of Paris; I breathe and sigh more passionately, I am more fully feminine. I took up the habit of writing poems on napkins in the cafes as I ate my croissant and listened to the melody of French conversations at nearby tables. 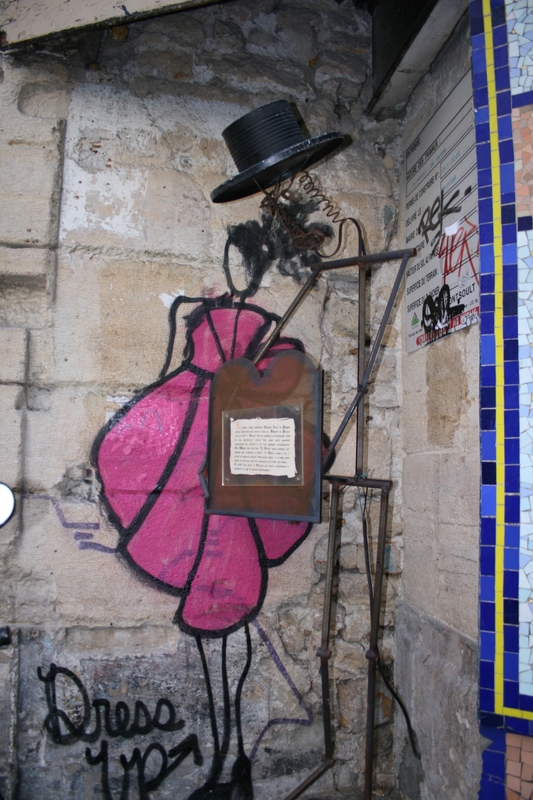 On that first mad, divine, trip with no paper to write on but the napkin on my table, the waitress smiled when she saw me and said, “For your great novel?” We both laughed and I knew I was home; home to the creative artistic spirit that is the quintessential attraction of Paris. Though I traveled alone, I never felt alone, never felt at risk walking at night, often in the rain, carrying my heavy photographic equipment. Paris is even more wonderful at night in the rain. When I returned from that first trip I created a photographic show of the images from that time. They’re still some of my favorites. All of the images in this post are from Paris. 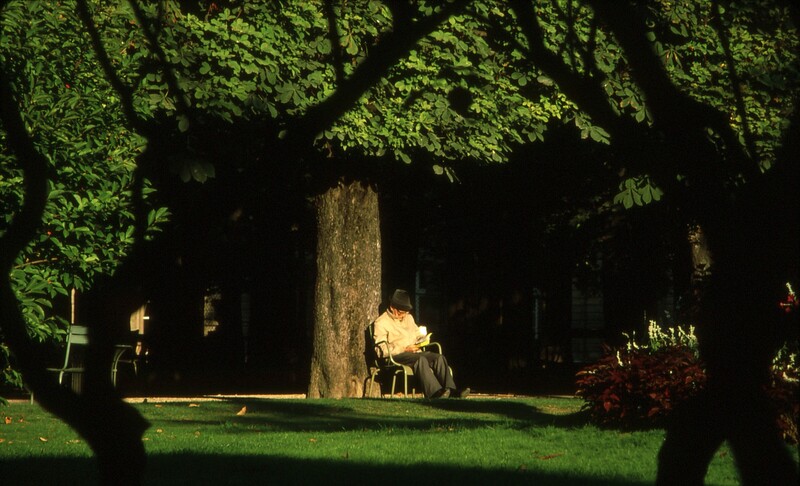 This one from the Luxembourg gardens is a normal sighting of those who spend time there. The wedding dress image was a surprise. 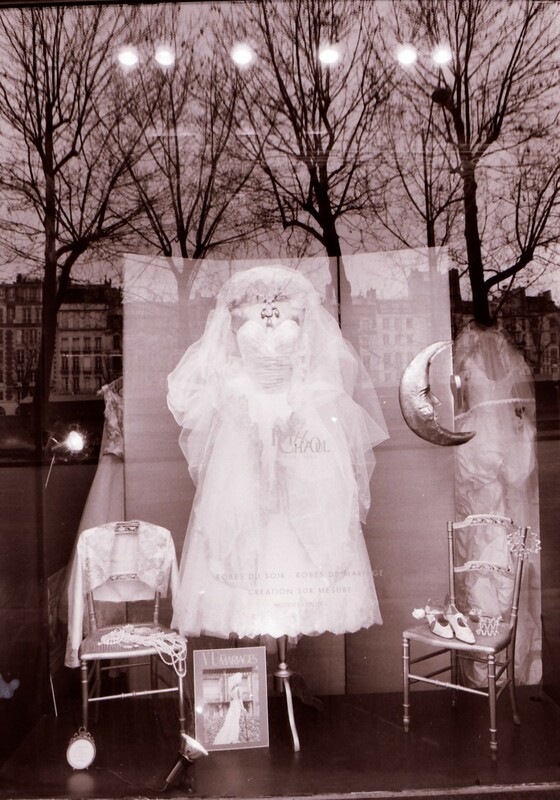 I was walking along the Seine and shot the display in the store window. I didn’t know until the film was developed how much more had been captured. I’m dating myself by admitting to film. It was a while ago! 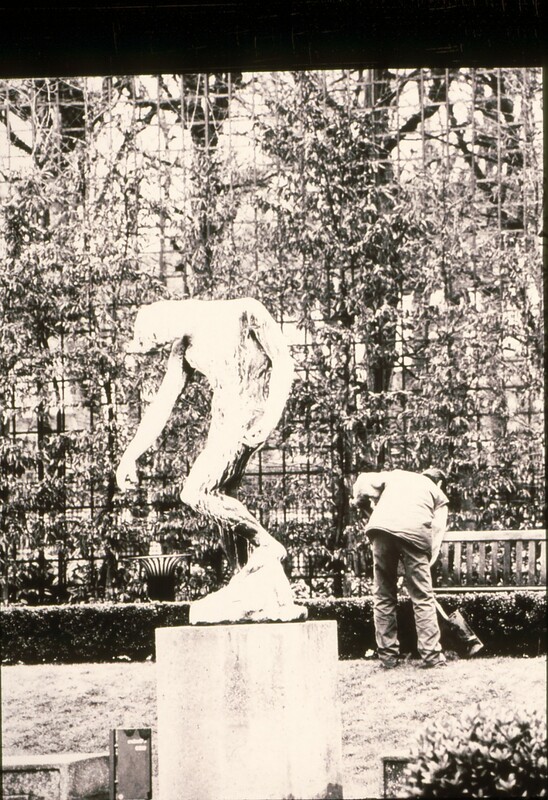 In the Rodin Museum, another surprise moment caught my attention. 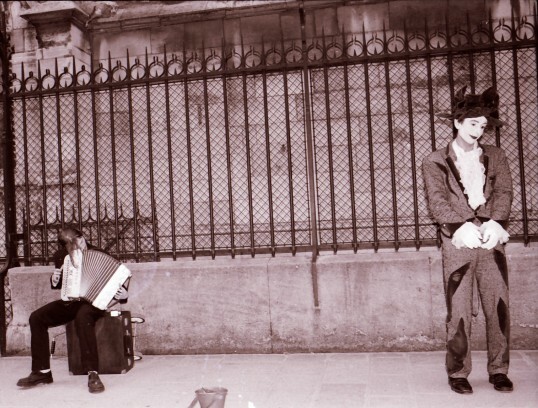 Outside Notre Dame, I was fortunate to come upon an unusual mime that I felt captured the spirit of Paris completely; whimsical, musical and melancholic. What I’m saying, is that my artistic spirit is so moved in that environment, things just happen. There is nowhere else in the world where I have been so free..
That said, I am saddened far beyond these words can express by the assault on Paris this last Friday. Will any of us who love, and, or live, in that magical city ever experience such freedom again? Will the dark overcome the light? The answer is a resounding NO; say NO to fear, say NO to worry, say NO to doubt, say NO to the pain others cannot help but inflict on life, love and beauty. ← Connect With Your Creative Muse; for fun, for help with a problem, even for Directions.